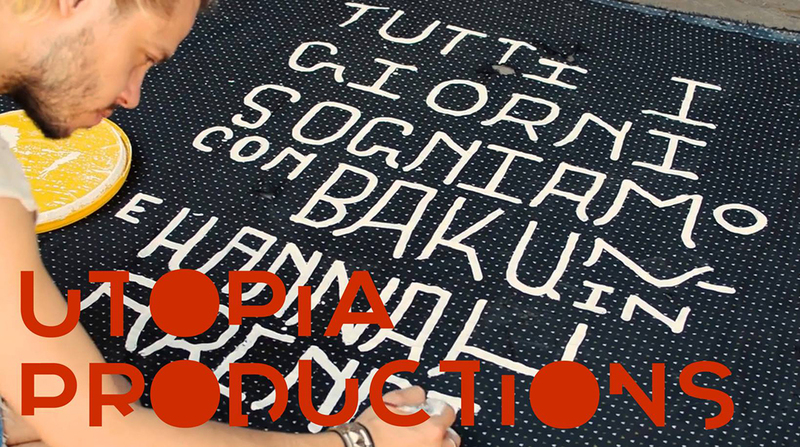 Isola Art Center and RiMaflow present Utopia Productions. A film by Dario Azzelini & Oliver Ressler. An installation by Nikolay Oleynikov. A mural by Edith Poirier. 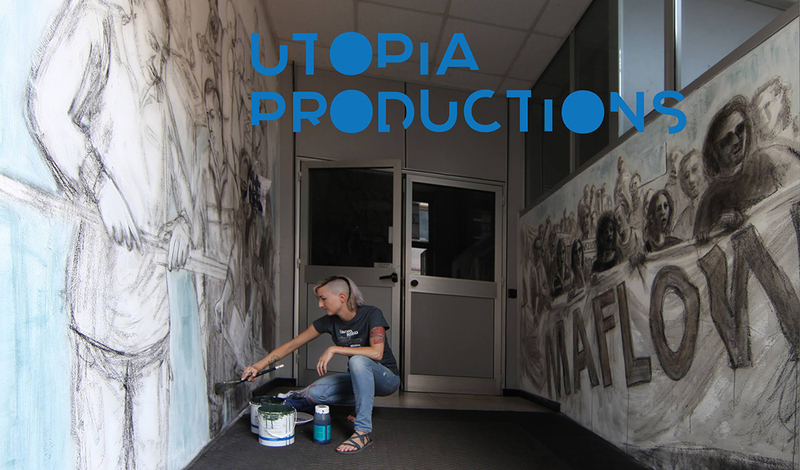 In celebration of International Workers day and May Day, Isola Art Center and RiMaflow present Utopia Productions, an artistic event dedicated to the struggle of occupied and self-managed factories, which we consider like seeds of utopia in contemporary capitalist society, and as examples of indispensable concrete utopias. 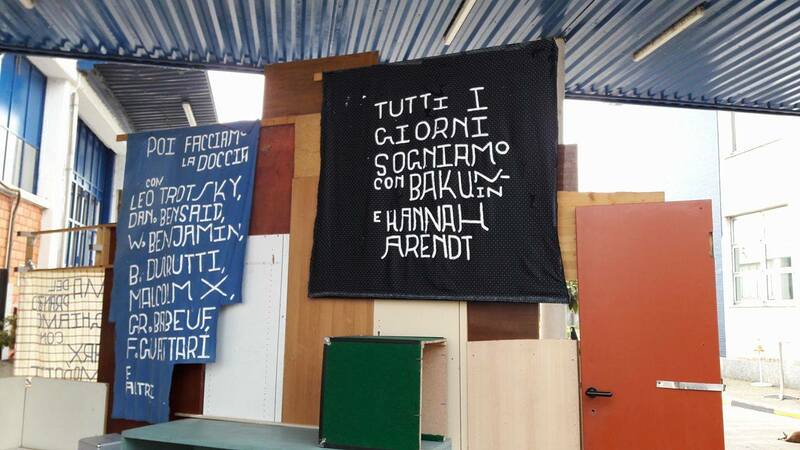 The event will premiere the Italian version of the documentary Occupy, Resist, Produce, -Vio.Me. (30’) by Dario Azzelini & Oliver Ressler, translated by Isola Art Center, which follows the story of the factory Vio.Me. in Thessaloniki, Greece. The factory had produced glue and industrial insulation but was abandoned by its owner in May 2011 and was occupied by the workers in July that same year. 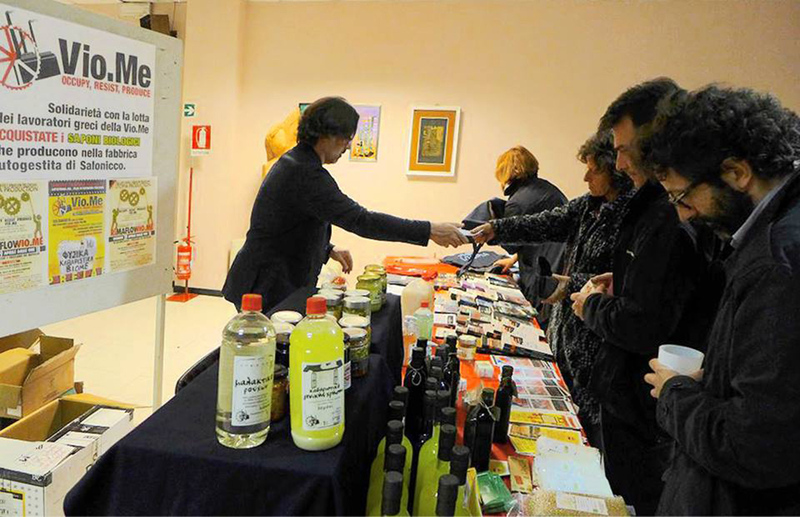 Since February 2013, it has been producing organic soap and biological cleaning products that are now also available to buy at RiMaflow. The film will be introduced by Marco Scotini, Artistic Director of FM, the new Center for Contemporary Art in Milan and Director of the Department of Visual Arts – NABA Nuova Accademia di Belle Arti, Milano, who has been following Oliver Ressler’s work for years. RiMaflow’s Luca Federici will explain the context of the international collaboration between the self-managed factories. Occupy, Resist, Produce, -Vio.Me. (30’) by Dario Azzelini & Oliver Ressler. 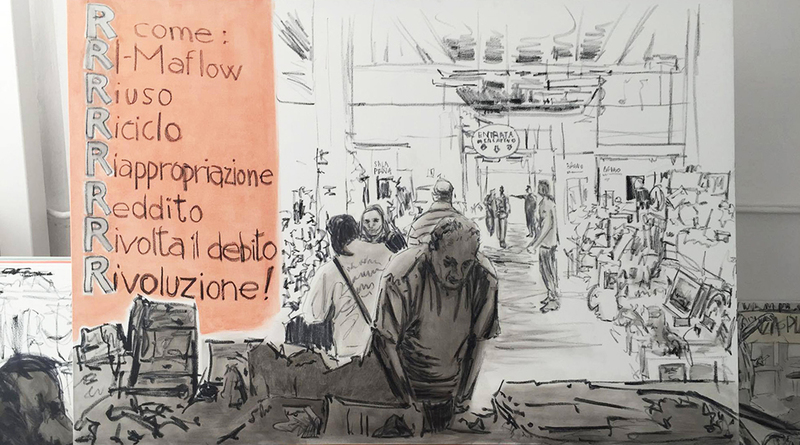 Due, tre piccole cose sull’agenda di RiMaflow… (Two, three small things on the agenda of RiMaflow…) is the title of the permanent installation by Russian artist and musician Nikolay Oleynikov of the group Chto Delat (What is to be done). 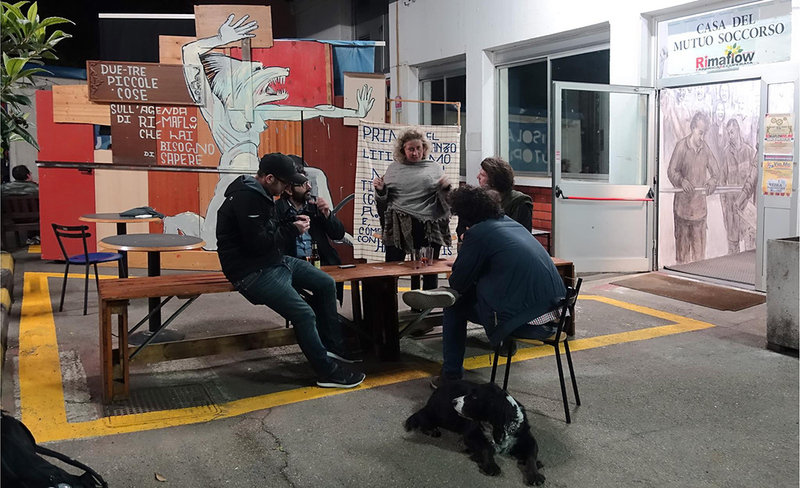 During a residency at the recuperated factory, the artist developed his work by consulting with the occupants of the factory and the activists of Isola Art Center. The work of Oleynikov will be presented by the critic, independent curator and art historian Elvira Vannini. The video Nikolay Oleynikov at Rimaflow, an Isola Art Center Joint (3’56 ”) by Emanuel Balbinot and Corrado Foffi, which documents the creation of the installation will also be shown. RiMaflow, tracce di una lotta esemplare (RiMaflow, traces of an exemplary struggle) is a mural by Edith Poirier. 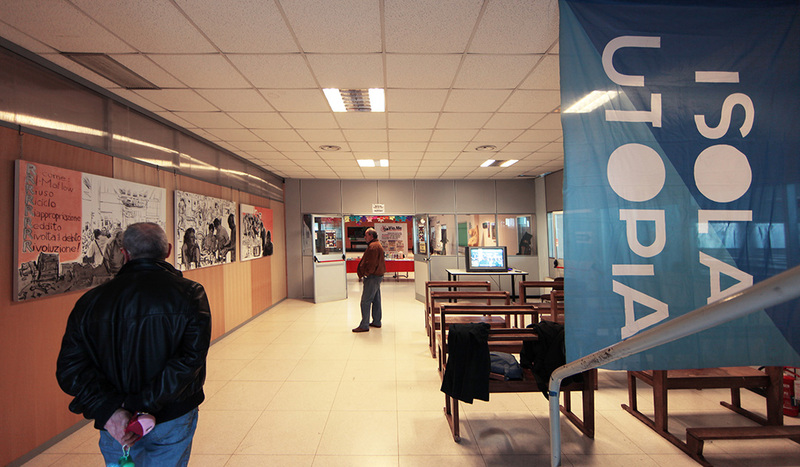 Two walls at the entrance of the industrial building narrate the history of the workers of Maflow, who have been laid-off after the factory relocated its production to Poland, who occupied the factory to form RiMaflow. 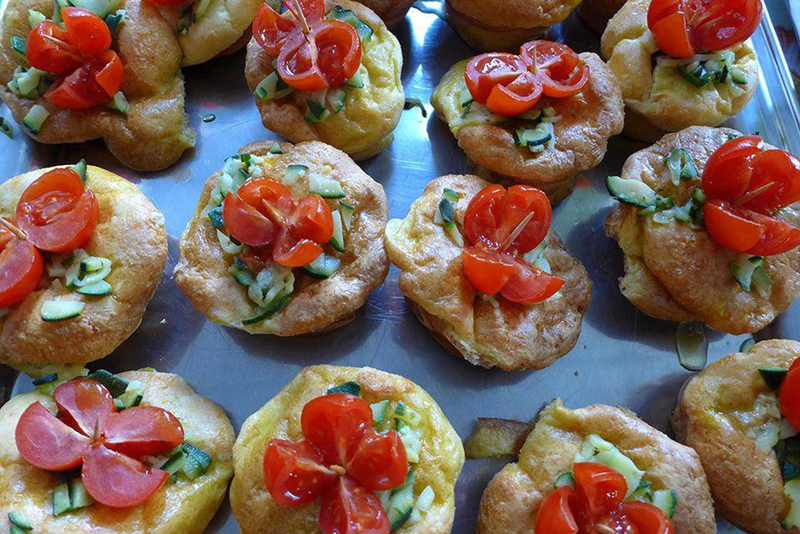 Like Vio.Me in Thessaloniki, RiMaflow also decided to relaunch production in an ecological and anti-capitalistic way. The mural will be presented by Bert Theis, artist, activist, curator, and coordinator of Isola Art Center. The evening will begin with a guided tour of the recuperated factory and the Citadel of vocations created within its interiors, followed by an aperitif. 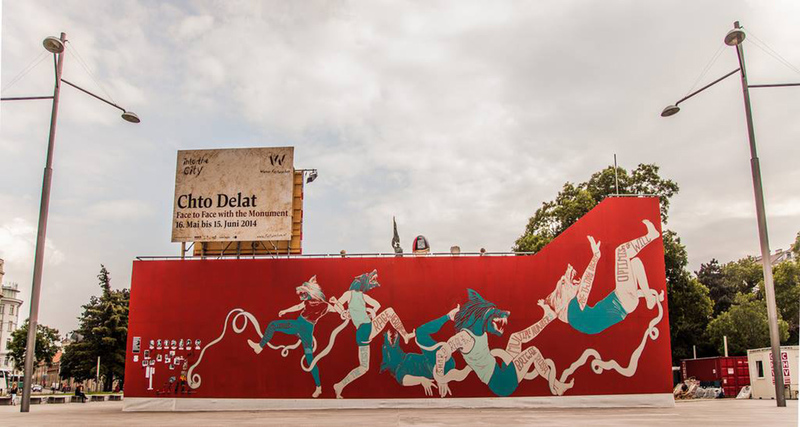 Massimo Lettieri of RiMaflow will talk about the different stages of the worker’s struggle featured in the mural. The film about Vio.Me. will also be screened continuously on April 30th and May 1st from 17:00 to 20.00, and on request. 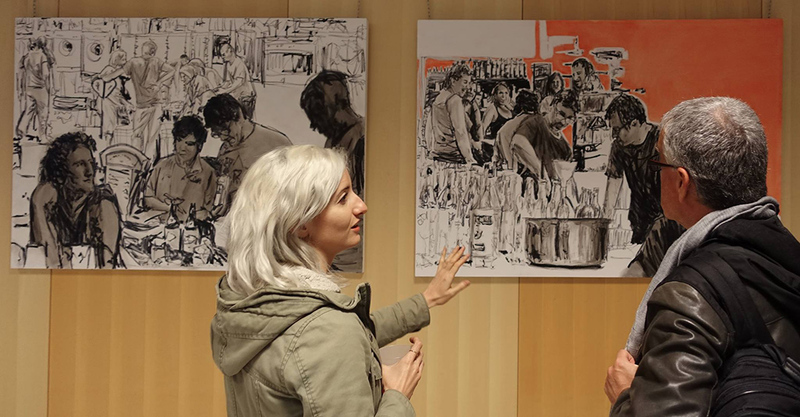 The works by Nikolay Oleynikov and Edith Poirier can be visited throughout the year during factory opening times. 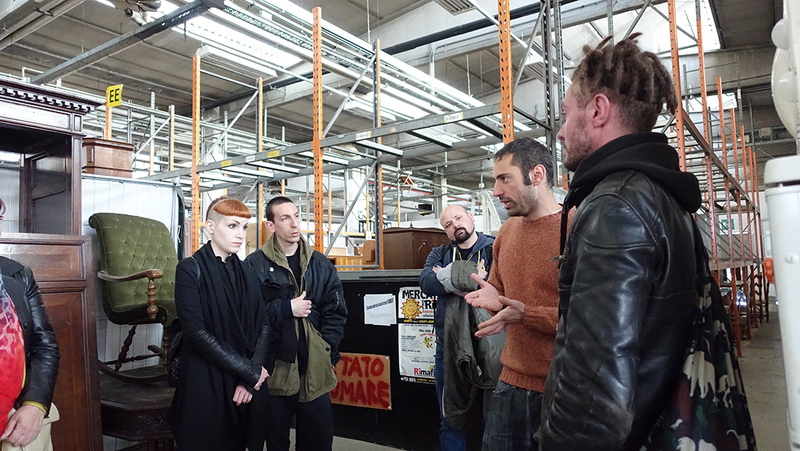 Guided tour at the self-managed factory with RiMaflow’s Luca Federici.. Photo Mariette Schiltz – with Giuliano Manselli. 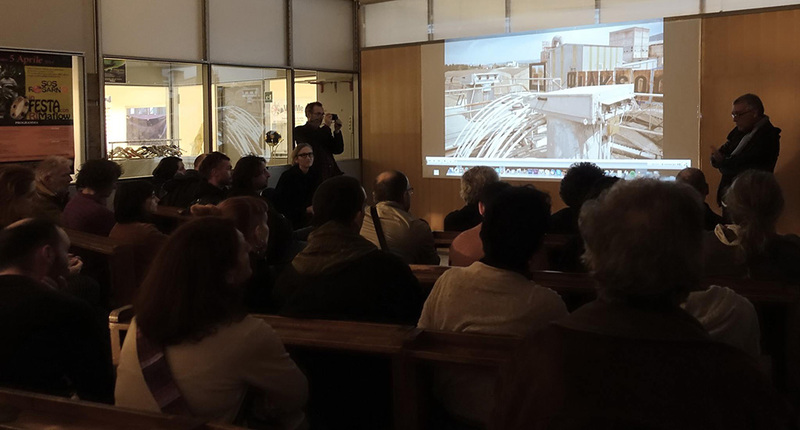 Picture from Elvira Vannini’s talk about Nikolay Oleynikov’s installation.